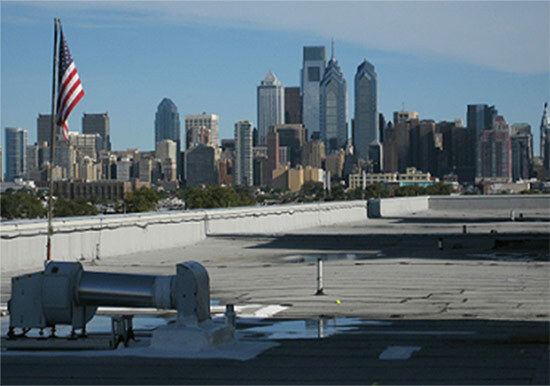 Southern Philadelphia High School has teamed up with Roofmeadow, a Philly-based green roof design and engineering firm, and the Lower Moyamensing Civic Association to bring the city its first rooftop farm in a new campus-wide plan to take the school from gray to green. 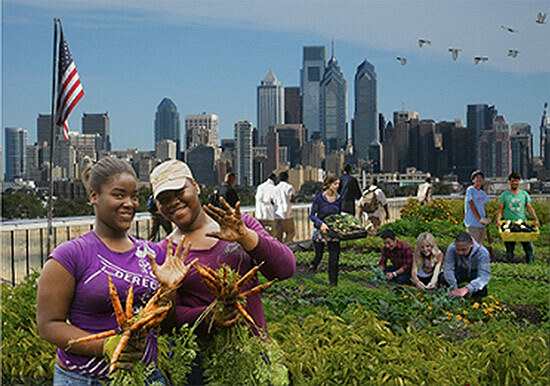 The plan includes rain gardens, street trees, vegetable gardens, and a rooftop farm. These elements will be incorporated into a new curriculum for the school’s culinary and science departments, providing students with a chance to escape the classroom and engage in hands-on learning, while nearby residents will gain access to fresh produce and new green space. The school is working with Roofmeadow and community representatives to develop the master plan, which targets large, underutilized properties on the school’s urban campus. The project will be crowdfunded through Projexity, an online platform that provides the support and framework for bottom-up neighborhood development projects, from creating proposals, to gathering funding, holding design competitions and getting the final approval necessary to move forward. The first of five stages of fundraising begins here on April 9th.